I'm all about history, and I know that it is not black and white. There are the gray areas, and those can be the most interesting. I read an article in the Telegram this morning about Walker Pond not really being Walker Pond. Apparently the name was changed to Lake Tantousque at a town meeting back in April of 1894. A map from 1895 showed the new name, and that was that. The new name never caught on, and to this day it is referred to as Walker Pond. The real story would be to find out why the new name never caught on, but after one hundred more years of being called Walker Pond it really doesn't matter, it's Walker Pond. The article went on to say that Leadmine Road should be changed to Graphite Mine Road since that is what was mined, graphite, not lead. The historian was quoted as saying that there is no such thing as a lead mine, and the word graphite is used on the town seal. First of all, there is such thing as a lead mine, that is where real lead comes from, as well as graphite. Graphite was the mineral mined here in town; the first recorded mining in the country, but calling it lead was simply a misnomer, nothing more. A misnomer is a word that is known to be incorrect, and was used before the true nature of the thing was fully know. Graphite, and a clay mix was called plumbago meaning lead ore in Latin. Other misnomers are tin cans, steam roller, tin foil, among others. Graphite was placed on the town seal after it was long known just what the "lead" was. The mining in Sturbridge was still referred to lead mining just as we still refer to pencils as lead pencils. Misnomers are like that; they have incredible staying power. The old term "Lead mine" is the way our ancestors referred to those cracks in the rock from which they extracted the graphite. It's a locally historical term. We need to just leave it as is. Somethings are worth a whole lot of effort to fix, and somethings don't need fixin'. These are a couple of those things. STURBRIDGE — Not only does Walker Pond not exist, it hasn't existed for more than 100 years, according to Sturbridge Historical Society President Robert J. Briere. And Mr. Briere says he has town documents to prove it. During the annual town meeting on April 2, 1894, residents voted to change Walker Pond's name to Lake Tantousque, which is a phonetic pronunciation of “Tantiusquis,” the town's American Indian name, Mr. Briere said. Most Sturbridge residents are unaware of the vote to change the name and continue to call it Walker Pond, named after the Walker family who were the original settlers there, Mr. Briere said. Mr. Briere said he doesn't know why the name change was never carried out. In addition to certified copies of the nearly 120-year-old annual town meeting documents, Mr. Briere has a town map dated 1899 that lists Lake Tantousque instead of Walker Pond. The pond is situated off Route 49 near Wells State Park. And it does not stop at Walker Pond. Pointing out on the town seal a banner that states “DISCOVERY OF GRAPHITE 1633” and under it “FIRST NEW ENGLAND MINING,” Mr. Briere said Leadmine Road should be named Graphite or Graphitemine Road. The local Indians used the mineral for ceremonial face painting, Mr. Briere said. Mr. Briere said he is not asking the selectmen to change Leadmine Road to Graphite Road (or Leadmine Pond to Graphite Pond). But, he added, if they would like to, it would be fine with him. Mr. Briere said it's important for Sturbridge to recognize its Native American roots because it's a vital part of the town's often forgotten history. "Native Americans were the first to mine and work the copper of Lake Superior and the Keweenaw Peninsula of northern Michigan between 5000 BCE and 1200 BCE. The natives used this copper to produce tools. Archaeological expeditions in the Keweenaw Peninsula and Isle Royale revealed the existence of copper producing pits and hammering stones which were used to work the copper. Fringe writers have suggested that as much as 1.5 billion pounds of copper was extracted during this period, but archaeologists consider such high figures as "ill-constructed estimates" and that the actual figure is unknown. 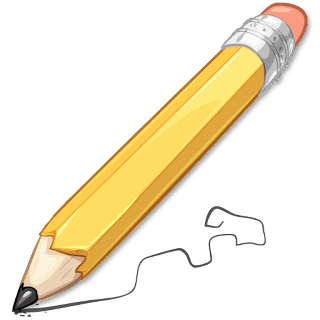 The common usage of the words "Leadmine Road" are more "poetic" than the words "Graphite Mine Road," and as you wrote, Wally, we do still buy "leads", not "graphites" for our mechanical pencils. Now, as far as the titles of Walker Pond, Walker Mountain, and Walker Road returning to the native name, I'm afraid that in our common language today, they might be known as Cleavage Pond, Cleavage Mountain, and Cleavage Road. Those names alone should bring in the tourists! "Cleavage"!! LOL! That, of course, would be the proper Sturbridge vernacular. If I hear anymore about this, I promise to keep you abreast.